According to Tony, James Mazzella’s first attempt at starting his own business there was not successful. “He starved for a year and then he ended up getting a job in Cleveland, Ohio as a foreman at a company called Frank Morrison & Sons. He worked there for about five years and in 1954, he started out on his own again.” This time, James Mazzella made it work – his business provided the most basic of lifting devices: wire rope slings that were braided by hand. 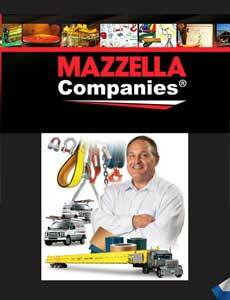 Today, the company that James Mazzella founded is one of the largest independently-owned companies in the overhead lifting and rigging industries, providing “one-stop shopping” for its customers in the Steel, Construction, Energy, Vehicle, Durable Goods, Ship Building and Repair, and Mining sectors. Its 420 employees work out of 21 locations across the country, offering all styles of slings, overhead cranes, hoists, pullers, assemblies, rigging and lifting hardware, and engineered lifting devices. It is also a manufacturer and distributor of coated and bare metal products for the architecturally-designed metal panel industry. Matt Mazzella, the fourth generation of the family to join the business, also talks about the need to support the company’s employees and provide them with a secure career path. 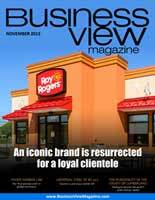 “As of now, we have an average tenure of ten years for each employee. We want to continue to grow that number and the only way to keep people is to train them and continue growing them,” he says.